LapaLingo is a popular instant online casino which offers games by Play’n Go, Reel Time Gaming, NetEnt, Bally Wulff, Gamomat, Microgaming, Amatic, Lionline, Pragmatic Play, Quickspin, Endorphina, Big Time Gaming, Playson, PariPlay, GameArt, Betsoft, iSoftBet, Habanero and Merkur. 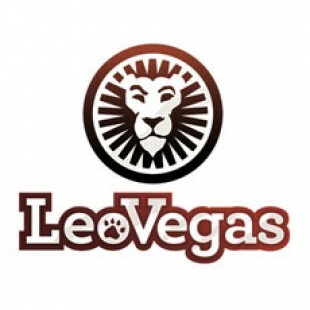 Besides that the casino offers exciting live dealer games provided by Evolution Gaming and NetEnt Live Casino ..
LapaLingo is a popular instant online casino which offers games by Play’n Go, Reel Time Gaming, NetEnt, Bally Wulff, Gamomat, Microgaming, Amatic, Lionline, Pragmatic Play, Quickspin, Endorphina, Big Time Gaming, Playson, PariPlay, GameArt, Betsoft, iSoftBet, Habanero and Merkur. Besides that the casino offers exciting live dealer games provided by Evolution Gaming and NetEnt Live Casino software. And to top this off the casino also integrated a Sportsbook for players who like to place bets on sports. LapaLingo was launched in 2015 and is owned by Rabbit Entertainment Ltd Casino. When you want to try out LapaLingo you can now start playing with a €10,- No Deposit Bonus. And that’s not all! LapaLingo also offers a 200% deposit bonus up to €100,-. Ready to start playing? Then sign up your free account on this page! Please note that LapaLingo Casino is not available for players from the United Kingdom, the United States of America, Turkey, Belgium and France. And that’s not all. LapaLingo has a long list of restricted countries. Please check the terms and conditions and have a look if players from your country are welcome at LapaLingo. If you want to take a bonus at this casino, or others, please make sure you read the bonus terms and conditions. It is very important to understand all the rules, especially the wagering requirements. In these rules you will find more information about maximum pay-outs, rollover requirements and maximum bets. Below, in the paragraph ‘’Wagering’’, you will find a summary of the most important wagering requirements and bonus terms. At LapaLingo you will find an impressive selection of video slots. 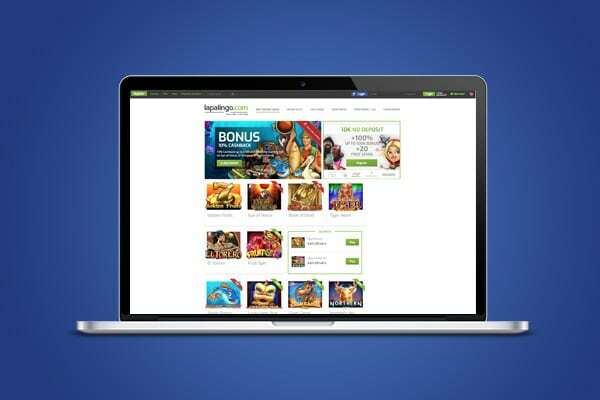 This is possible since LapaLingo works together with the best online slot providers. Some of the most popular game providers at LapaLingo are Play’n Go, Reel Time Gaming, Quickspin, Merkur, NetEnt, Amatic and LionLine. If you like you can filter games in the gaming lobby by selecting your favourite provider. LapaLingo also offers filter options based on category, the release date and popularity. Some of my favourite games at LapaLingo are Eye or Horus (Reel Time Gaming), Book of Dead (Play’n Go) and Fishin Frenzy (Reel Time Gaming). Other popular games at LapaLingo are Book of Aztec, Golden Fruits, Lucky Unicorn, Book of Fortune and El Torero. Most of these game are available on desktop, tablet and smartphone. Curious about the whole game portfolio? Then visit the LapaLingo website and have a look at the game lobby. Want to win big? Then have a look at the selection of Progressive Jackpot Slots at LapaLingo. Some very popular Jackpot games are Treasure Nile, Mega Moolah, King Cashalot, Cash Splash (3 of 5 reels) and Mega Moolah Isis. But there are more Jackpot games to play. At the moment the highest Jackpot is the one from Mega Moolah; €6,6 million and counting. And this Jackpot can rise to insane amounts. Did you know the record breaking online Jackpot was a total of €17,8 million euro? This prize was won by UK player Jon Heywood with only a 25 pence bet. This record breaking win appeared on the Mega Moolah Slot at Betway Casino. On the homepage of LapaLingo you will find some of the Jackpot games. LapaLingo has no category with all the Jackpot. We don’t know why, it would be nice because it makes finding all the Jackpot games way easier. Besides Slots you will also find some other games in the gaming lobby of LapaLingo Casino. In the section table games you will find 100+ games including a lot of variants of Roulette, Blackjack, Poker and Baccarat games. Some popular games are European Blackjack, Pontoon, Punto Banco, Red Dog and Texas Hold’em. Other popular games types at LapaLingo are Virtual Games, Video Poker and Scratch Cards. In the portfolio of Video Poker games (75+ games) you will find some popular games including Deuces Wild, Jacks or Better and Aces & Faces. The selection of Scratch Card games holds 20+ different titles and the Virtual Games category offers Virtual Poker, a Virtual Racebook and Stud Poker. At LapaLingo you will find a nice collection of live betting games. In the Live Casino you will find games provided by both Evolution Gaming and NetEnt. This ensures a nice portfolio of live Blackjack, Roulette and Baccarat games. I prefer to play in the Evolution Gaming Live Casino but there also a lot of people that think the NetEnt Live Casino is better (especially on mobile). Both providers offer a lot of tables, high quality streams and small stake betting possibilities. 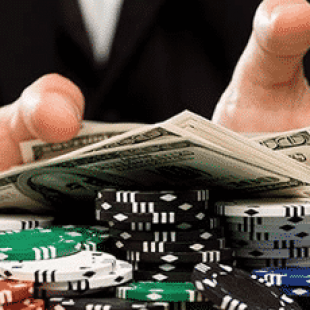 After joining the Live Casino you can play Roulette from as low a €0,50 per round, Blackjack from €0,50 per hand and Baccarat with a minimum stake of €1,-. While playing in the Evolution Gaming Live Casino you will also be able to play the unique Dream Catcher Money Wheel game. And that’s not all. Evolution Gaming also offers Extreme Taxes Hold’em and Caribbean Stud. If you are playing at a very busy moment you can decide to play at one of the Common Draw table of the NetEnt Live Casino. These table will always have a spot available for you to play! Enjoy to place bets on sports? Then visit the Sportsbook on the website of LapaLingo. When you open the Sportsbook for the first time you will need accept additional terms and conditions. Please read then carefully before accepting them by clicking the ‘’Accept Terms and Conditions’’ on the bottom of the page. Once accepted you can browse through the Sportsbook and place you first bets. LapaLingo offers a minimalistic Sportsbook with plenty of sports and sports events. Some of the most popular sports are Football, Tennis, Ice Hockey, Basketball and Handball. In the bottom left of the Sportsbook you will find recent top winners, a F.A.Q. and the betting terms. Use the horizontal menu to browse through highlights (popular events), last minutes bets, the results page and you personal sports betting account. In your personal account you will find all your bets (open / finished) and requested bets. Good luck and have fun while betting on your favourite sports! LapaLingo is fully optimized for mobile players. Simply visit the regular LapaLingo URL and you will see the website optimized for smartphone or tablets. It doesn’t matter if you are on a iOS or Android device, the website always looks good. Besides that almost all games are available for mobile devices. Especially the NetEnt Touch games work great on mobile. Although the looks are good I experienced that the LapaLingo website can be a bit slow on busy times. This appears for example on Friday and Saturday nights. During these moments games load slowly or other technical issues make playing hard. At these moment I tend to try a different casino which is more stable. 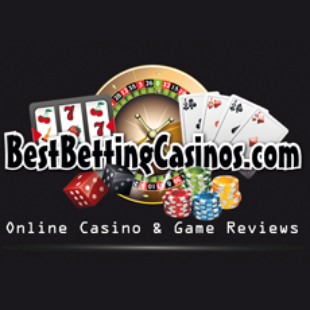 Have a look at our Top 10 Online Casino if you want to find some great alternative mobile casinos! Click this link to open the LapaLingo website. Enter your email, a password and accept the terms. Open your inbox (email) and have a look for a message by LapaLingo. Open this message and click the activation link. Finish your account by filling in some more personal details. Once done visit the ‘’My profile’’ tab and enter your mobile number. Have a look for the text message on your phone and enter the promo code on the LapaLingo website. After entering the promo code the €10,- no deposit bonus will be in your account. You can use this money on all games in the casino. Good luck and have fun while trying out some games without any risk! If you want to continue playing at LapaLingo you will need to make a first deposit. If you use the bonus code ‘’BESTBETTING’’ you can claim a 200% deposit bonus up to €100,-. This means you can start playing with a €150,- balance by only making a €50,- deposit. Please note you will need to wager your bonus funds and deposit a total of 35 times. In the paragraph ‘’Wagering’’ below you will find more information about the bonus terms and rollover requirement. You can use your 200% deposit bonus on almost all of the 1000+ games in the casino. If you like you can also collect a lower deposit bonus (100%) with a higher maximum. Read next paragraph for more information. If you like you can also decide to collect the regular LapaLingo welcome offer. The regular welcome bonus offers you a 100% deposit bonus up to €500,-. This means the casino will double every deposit you make up to €500,-. Use the bonus code ‘’WELCOME’’ in order to claim this offer. This bonus is also subject to the 35 times wagering requirement. Deposit €50,- to start playing with €100,-. Deposit €125,- to start playing with €250,-. Deposit €500,- in order to collect the maximum bonus and start playing with a €1000,- total balance. 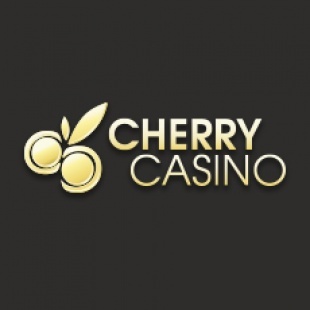 Tip; Make a first minimum deposit of €10,- in order to trigger one of the available welcome offers. Want to deposit using PayPal? Then use the bonus code ‘’PAYPAL’’ and receive a 100% deposit bonus up to €250,-. As a regular player at LapaLingo you will receive generous bonuses from time to time. At the moment the casino for example offers a 10% cashback bonus on all Reel Time Gaming slots. And that’s not all. LapaLingo will also send extra offers to your email every week. 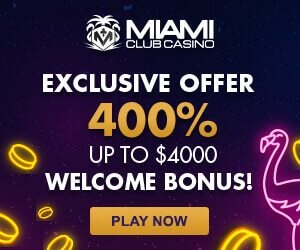 You can use these offers to collect extra bonus money or free spins. At the moment LapaLingo also offers a promotion regarding the Top Slot of the Week. Every week LapaLingo will select one slot. You only have to leave a comment on the game (do you like it?) in order to make a chance of winning €10,- bonus. Check out the promotions page for more information regarding all bonuses and extra rewards. At LapaLingo you will find various generous bonus offers. Although they look very good we recommend having a good look at the wagering requirement. The standard rollover requirement at LapaLingo is set a x35. This rollover requirement will be applied on your initial deposit and the bonus funds. This means the total wagering requirement will be way more than 35x. For example; When you make a €50,- deposit, and take a €100,- deposit bonus, you will need to wager 35 x €150,- = €5250,-. This means you will need to wager your funds a total of €5250 / €100,- = 52,5x. While wagering your funds you will also need to make sure you don’t bet more than €5,- per game or €0,50 per bet line. When you take the €10,- No Deposit Bonus at LapaLingo you will need to wager it a total of 75 times. This means you need to wager a total of €750,- before your bonus funds will be converted into real money. Once this happened you can pay out your remaining winnings. While playing with your no deposit bonus you will be able to cash out a maximum of €50,-. Players from Germany, Switzerland, Austria, Finland, Norway and Sweden will be able to cash out a bit more, a total of €100,-. At LapaLingo you will not be able to use your bonus funds in the Sportsbook or one Progressive Jackpot Slots. Please note that game don’t contribute equally towards you wagering requirement. Slot games will apply for 100% of your bet. Card games, Table Games and Live Casino Games will apply for 20% of your bet. While playing Video Poker games you will only wager 5% of your bet. Please check out https://www.lapalingo.com/en/bonus to have a look at all the wagering requirements and bonus terms. LapaLingo offers a wide selection of payment methods. All payment methods are available from as low as €10,- per transaction. Most payment methods have a maximum amount of €5000,- per transaction. The most popular payment methods are VISA, Mastercard, PayPal, Neteller and SoFort. Other available payment methods are PaySafeCard, Skrill, DotPay, iDeal, Qiwi, Webmoney, Trustly and Trustpay. Depositing is always free at LapaLingo. If you want to pay-out your winnings you can use the method you have used to make a deposit. Most methods are available from a minimum of €10,- per pay-out. For some pay-outs LapaLingo will ask a small fee. For example; When you pay out using Skrill you will pay a €1,- free per transaction. Although this isn’t a lot we think this should be free. If you have a question or a complaint you can contact the customer support department. The easiest way to do this is to open a live chat. The live chat feature is available every day from 09:00 to 23:00. In the live chat you will have direct contact with one of the available customer support agents. Besides the live chat you can also fill in a contact form with your questions and some contact details. LapaLingo will try to answer your email as soon as possible. After this extensive LapaLingo Review I will summarise my thoughts about this online casino. If you like you can try out LapaLingo for free using the €10,- no deposit bonus. Once done please let me know what you think about this casino. This will help us, and other players reading this review. In my opinion this casino has some pro’s and some cons. Games; LapaLingo offers a very complete collection of casino games. The casino has loads of slots, table games, video poker, many live betting games and a sportsbook. Because of this I recommend LapaLingo if you want to play a lot of different casino games. Bonuses; LapaLingo offers some great bonuses including a generous €10,- free bonus. Although the deposit bonus is very nice I must say the wagering requirements are pretty hard. Because of this I recommend playing without a deposit bonus. Technique; I really like the fact that the website works fine on all devices. One think I don’t like is the fact that the casino can be very slow. It seams that more technical issues appear during peak times. I think this is one of the most important things LapaLingo needs to improve. Banking; LapaLingo offers a wide selection of payment methods. It is great that you can deposit from as low as €10,-. One improvement LapaLingo could make I free withdrawals. Support; When you want to contact LapaLingo the live chat is the best way to go. A telephone number and email address are not really easy to find. A freephone line might be a nice improvement for the casino. All with all I like LapaLingo but I think there are some things that need improvement. Especially the site speed and the bonus terms are an issue. Sign up your free account today and check out if you like it or not. You can play with €10,- free bonus money without risking anything. Click this link to register your free account! Sign up now and collect €10,- Free at LapaLingo. Make a first deposit and collect a 200% deposit bonus. Receive a 200% bonus on your first deposit. Play games with a RTP of over 95%. Quick and easy withdrawals and deposits. Mobile friendly, play on Smartphone or Tablet. Top Quality casino made in Germany. Collect €10,- Free at LapaLingo Casino. Sportsbook and Live Casino available. Weekly events and fun promotions. Safe and secure gambling (SSL encrypted). Play 1000+ of the best casino games. that LapaLingo Casino is not available for players from the United Kingdom, the United States of America, Turkey, Belgium, France and more. 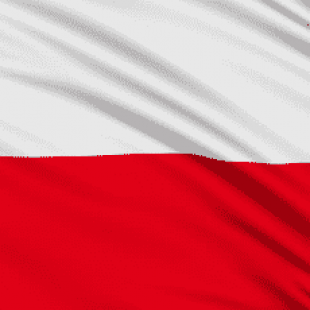 LapaLingo holds a Curacao Egaming License and a license by the Malta Gaming Authority. The LapaLingo website is available in German, Swedish, Norwegian, Spanish, Turkish, English, Finnish, Russian and Polish.